From the Bead Board : Build A Line Challenge - Blog #2 - Ever feel like you've been caught with your pants down? 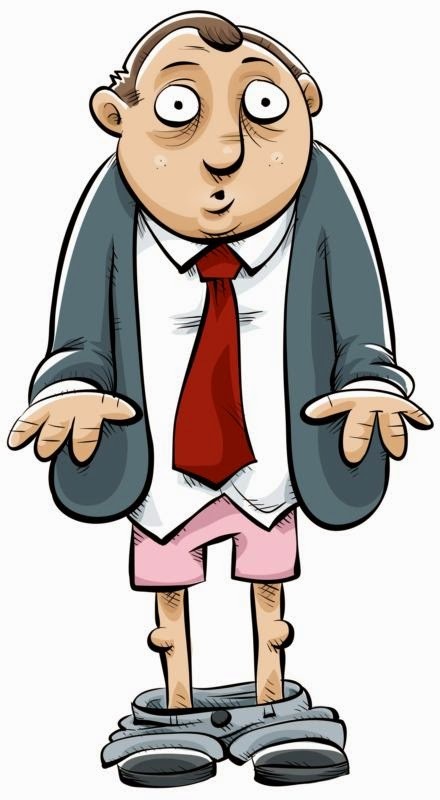 Build A Line Challenge - Blog #2 - Ever feel like you've been caught with your pants down? Ever feel like *everything* you touch kinda turns to dust and then you realize that you need to turn that dust into SOMETHING because you committed to it? This is pretty much how I've felt every day in the last 30. I'd like to say that I just need some time to catch up, but the truth is, I feel completely overwhelmed. I DESPERATELY want to get my line going. In seeing the 35 notifications pop up everyday, the more I want to read, but the more I just run out of energy to read. I feel like 50+ people is maybe waaaay too many for something like this, but that's just me. While I was working on my "line" last night, and thinking through the question "What my ARE my barriers to getting a line going?" Here's what I came up with...because actually MAKING the line isn't a barrier for me. 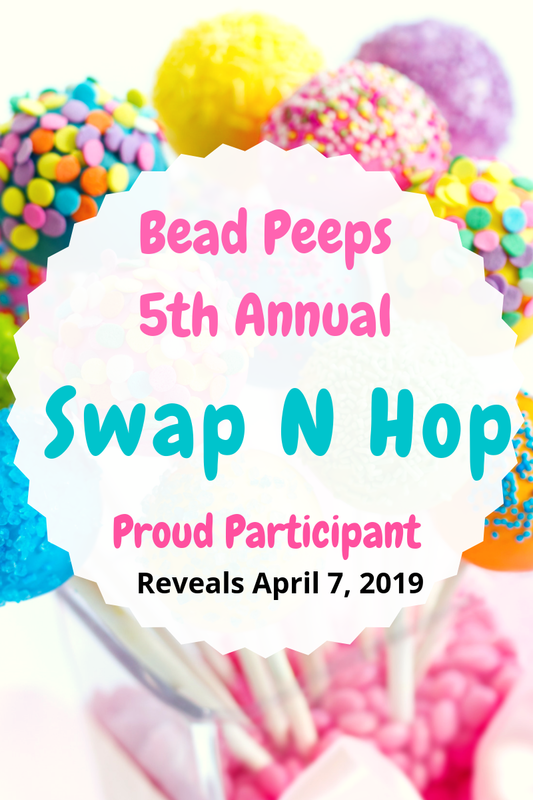 Pricing, I have a decent idea of (not really for wholesale yet, but I have a good idea of how much I use in terms of beads and generally what they cost) retail pricing and what is a good price point for me to focus on. Doing shows for 2+ years has given me some insights, at least for THIS area of the country. Where do I find said packaging? How do I buy less than 500 or 1000 pieces at a time? - How do I get my products in their hands? - How do I set MY pieces apart as my own - which I think just the way that I approach these pieces is "maybe" enough? Maybe not. Could I have a little charm that's added on to each piece that notes it's mine? Maybe this is where packaging comes in.... including a story about their piece or even just signing the packaging with a personal thank you? - I, also think, that my pieces would be great for brides and EASILY customizable to their colors or needs....but again - How do I break into that industry? Where do I find those wholesalers. 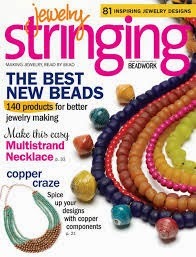 As a side note: my first published piece....my brightly colored crocheted piece.....was a bridesmaid piece. From where I'm sitting, these are MY biggest barriers. What are your thoughts? Wow! I love that bracelet. The colors are gorgeous. I like your idea of adding a charm to each one so they're more recognizable as yours. 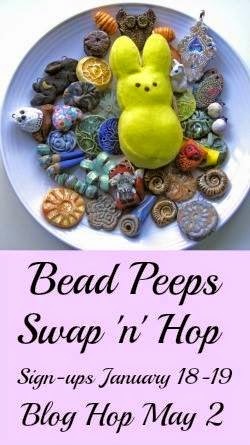 Also maybe you could choose certain color combos to make them more identifiable or only use certain types of beads. I love that bracelet and I enjoyed your blog, Linda. We are all asking quite a few of the same questions these days. Well done! Beautiful bracelet! I can identify with your"barriers" all valid points/concerns! 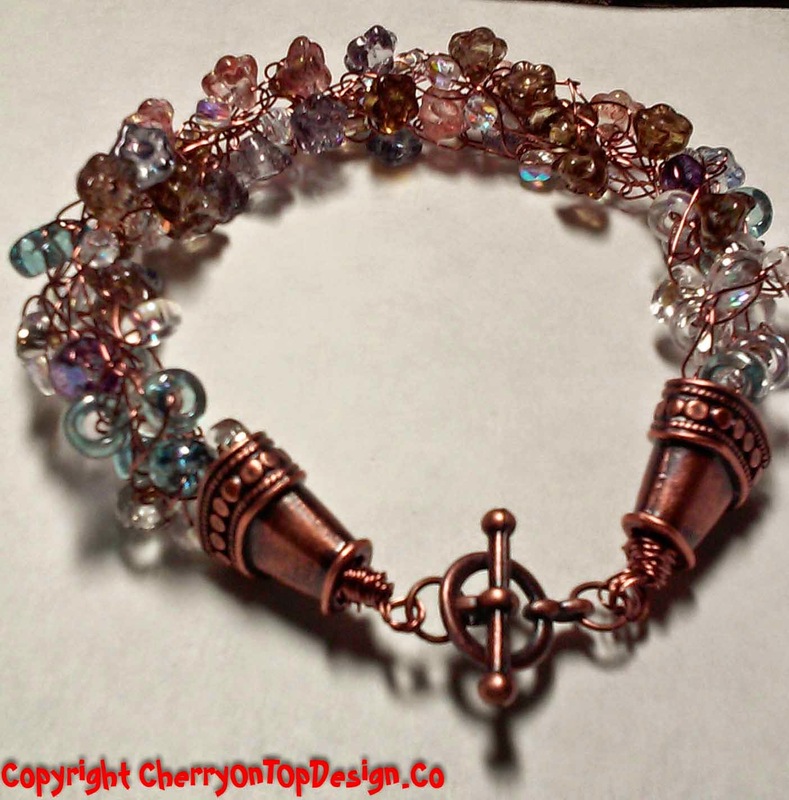 Love the bracelet and the color combo works so well with the copper. you raise lots of interesting questions. So much to think about with the group! Well done. Great blog! Thank you for sharing your thoughts and questions. I love what you are doing! Keep going, you're on to something beautiful! This bracelet is really beautiful! Well, I can't answer all your questions but for my line, I have a charm combo on every piece. It's the "Meet me at the garden gate" puffy heart and a tiny B'Sue key. It's on every piece but earrings where it's just not feasable. So, me personally I think finding a little charm logo that fits in with your design is a good idea. Makes it instantly recognizable. Now, enough about that I LOVE your pieces. Even if it was just a beaded charm combination that said "I made this". Cant help you with packaging, but your bracelet is gorgeous! Look forward to seeing the finished line! 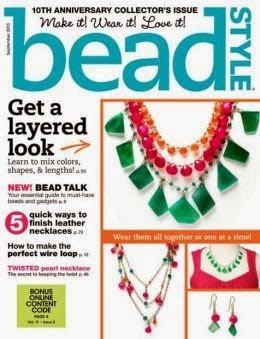 For packaging, look at the ads in any of the beading magazines. I like Store Supply Guy. Reasonable prices and lightning fast delivery. Store Supply Guy might be his social media moniker, but the company name is something like that. Those flowers look wonderful in the crocheted copper wire. Great color combination. I just recently got myself a second logo for more cohesive branding purposes. Still not sure it was one of my brightest moves, especially when it comes to managing my time on social media, but, hey, why not? I got overwhelmed in the challenge also so don't feel alone. I think the questions you are asking are the right ones and will lead you to great resources. Love the bracelet. Keep going! Linda--Thank you for your honesty in sharing with us. You are definitely thinking bigger than I have been. You brought up some really good points that I will be pondering. Nice bracelet. I'm looking forward to seeing more of what you create. You're doing great! Don't over think it!!! wonderful thoughts and question about where you are going while in this class and where you want Your Business to go~ I have thought about a lot of the same things and become overwhelmed. I have decided to focus on each day, and take it smaller -- a piece at a time. I enjoyed reading your blog! Very pretty bracelet! I agree, there has been A LOT of information to take in, but with working full-time job, I do what I can. ( I always read Brenda's information and save the rest for later.) Your bracelet is a show-stopper, nice job! The bracelet is gorgeous and it takes time to learn everything I'm still learning and we never stop learning. just go with the flow and ask many questions at the regular B'sue Creative group after this done. I have learned so much more by Being a part of Brenda Sue's groups. Keep on keeping on my friend an don't let it overwhelm you it will come. XOXO! Don't be discouraged. This class has been tough and at times overwhelming, but anything worth doing is going to be hard at the start, even if you've been doing it for a while adding a new direction takes a lot of effort. Just remember, if the ship's not moving the rudder won't steer it. Personally I hope you keep up the crochet line. I've been crocheting for years, but only tried my hand at using wire this summer so I know how good you are at it. This is lovely and really well made. You are doing great, don't doubt yourself. Linda, your dainty bracelet and your more robust bracelet are amazing!!! Love the style and the color and the over all feel!!! You are doing great! Be Blessed! You just have to dig in and start googling it. For packaging, I use Fetpak, yep you have to buy bulk but it's affordable and you have to be sure you have enough. There are plenty of people out there who will design a new logo for you for a reasonable fee, I would check Etsy, there are some designers there, or ask among the group, we have a few designers among us who do this sort of thing. Doing shows for two years at retail, are you ready yet for wholesale? This type of jewelry takes time to produce, and shops usually are looking for stuff they can sell reasonably unless you can get an upscale boutique or gallery shop. You may have to change up what you are doing or go a bit of a diff direction. Can it be done? YES. I did with no Google, no coaching, no help, just a little networking from a neighbor at a show I did at a mall who made things and sold them wholesale and gave me the number of a gift show promoter. I decided to go for it. I bombed the first couple times but I figured that it was my education, so I kept making my stuff and going til I started finally making enough to pay the rent and my expenses. THIRD TIME was the charm, I'd done enough networking and met some people who were interested in doing some rep work....and it all started clicking. And I kept learning! I stayed at it almost eight years til I'd had enough and began to do what I'm doing now. But I long for it again.....so we'll see what the future holds, for you and me both! THANKS for hanging in there. Glad you are hanging in there. This challenge has been much more difficult than many of us anticipated. 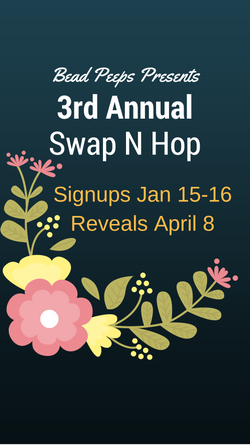 Look forward to seeing your coordinating pieces next hop!! Linda, I hope you can set aside these self-installed barriers and concentrate on the design and construction of your new line *before* you worry about packaging and wholesale. If you want to focus on bridal, use bridal colors and use bridal/wedding keywords in your Etsy shop. If you want them to be able to customize colors, give them a visual representation of it in the photos. In your descriptions, answer any questions that your in-person customer doesn't even have to ask because they can touch it. 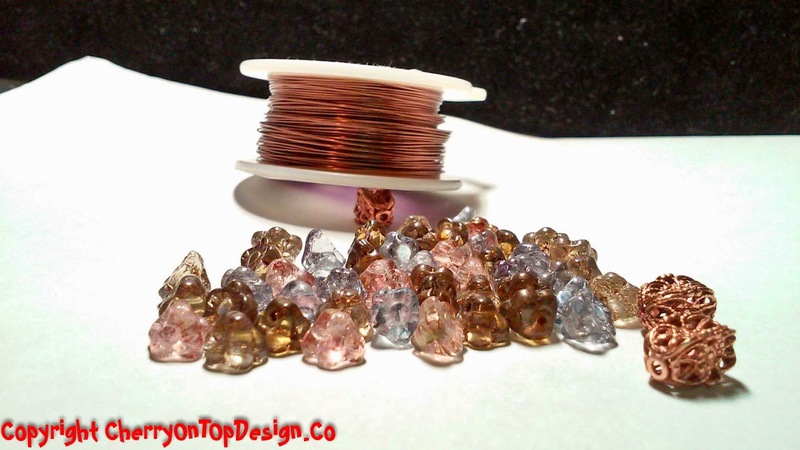 Most importantly, don't let those barriers paralyze you and stop you from *making* the jewelry in the first place! You can do it! Beautiful bracelet. I am thinking only of my line right now and figured the rest will come when needed. Hang in there and take one step at a time. Look forward to seeing more pieces of your line. Great blog post! Listing your barriers, or struggles, plus knowing them is so important for us all. 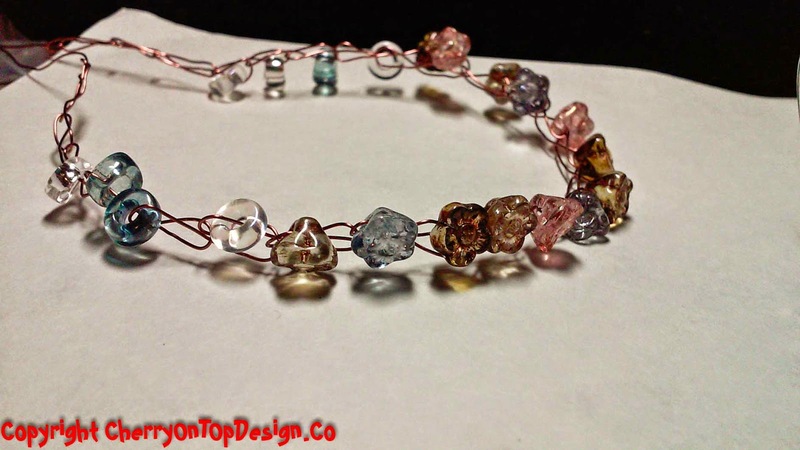 Your necklace is gorgeous, love the wire wrapping! Hi Linda, what a pretty bracelet! I am trying to come up with some custom packaging as well. The organza bags from China aren't consistent with my pieces and I'd like to find something else.